The Golden Retriever History traces back to the mid 18th century in Scotland. The breed was developed to retrieve waterfowl from the many lakes and ponds that are found in Scotland. Hunting waterfowl was considered a sport by the wealthy in the 18th century and it is generally believed that the Golden Retriever came about by breading the best water spaniels to retrieve the birds to keep their owner’s feet dry. With the newly made advancements in firearms in the late 18th century, there was a serious need for a dog that could retrieve their kill from much further out in the water than ever before. 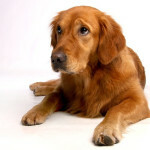 In the late 18thcentury the Golden Retriever was developed in to the dog we know today. The new yellow colored retriever was a mix of the original water spaniels and the now extinct tweed water spaniel and this dog was much stronger and more energetic than the previous retrievers. The newly bred Golden Retriever or ‘Gundogs’ as they were referred to were excellent swimmers and had a gentle touch with their mouth when retrieving waterfowl. The new breed also excelled on land returning grouse and pheasant to back to the shooter during hunting parties. The Golden Retriever was introduced to England in the late 19th century and became very popular with hunters in a short amount of time. The gentle nature of the breed made them a hit with the English and many of the dogs became household pets. As a pet the Golden retriever was loyal and gentle with small children. In 1913 the Golden Retriever club of England was formed which brought the breed across the pond for the first time in to the United States. The breed found almost instant success here stateside and the first Golden Retriever was registered with the American Kennel Club in 1925. Over time the breed has become one of the most recognized and beloved dogs on the planet. Hip dysplasia can set in at an early age. It can be very painful and in some cases be crippling. Cataracts are often hereditary and can set in at around 9 months of age. Ear Care – Keeping the ears clean and free of dirt and small debris is the best way to keep ear infections to a minimum. Congenital Heart Disease – A cardiac evaluation should be given while the dog is a puppy to determine the severity or onset if any. The popular golden Retriever is seen with its owners like lance Burton, Jackie Chan, Tom Cruise and Jamie lee Curtis just to name a few. The breed has starred on the silver screen will barking roles in Air Bud, Bingo, Lassie; you’ve got Mail and Homeward Bound. President Ford has many pictures of his Golden Retriever in the oval office at his side and how about Duke from the Bush’s baked beans commercial? 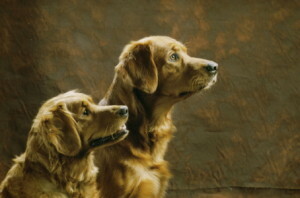 The Golden Retriever is an excellent hunting dog with skills that are unmatched and unique to its breed. As a household pet the Golden Retriever really shines. The gentle nature and the fact that the dog always wants to please, will maintain its place as one the most popular dogs around.